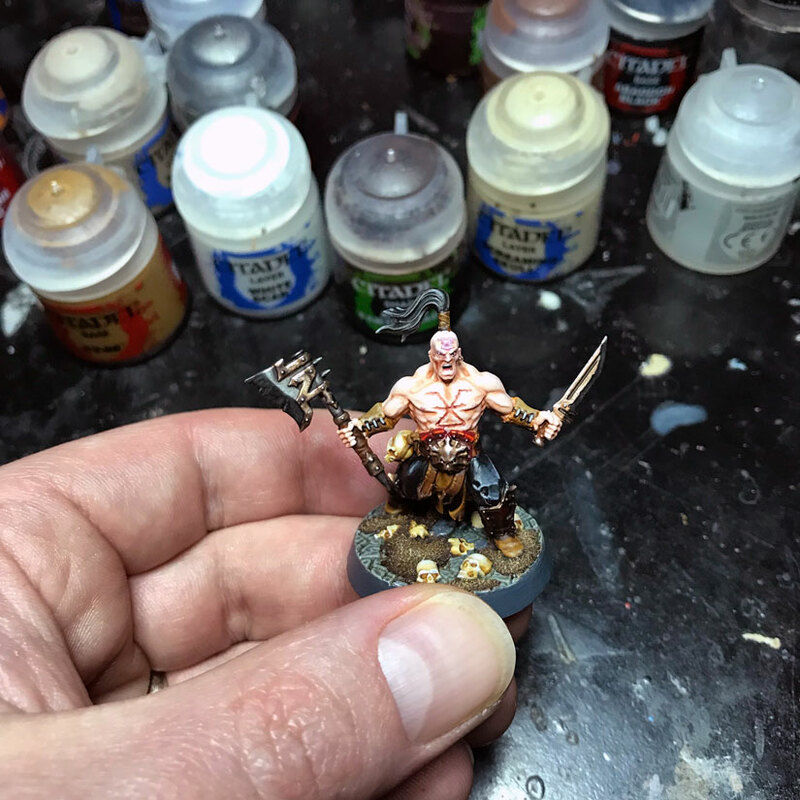 I was reading an article by Dave from Wargaming Tradecraft about hobby area lighting. That article is one I read a long time ago, back when it came out on 2011. At the time I thought I had a good hobby light setup. So, I didn’t really let his advice sink in, or truly see his examples. There I was, about four years later, returning to his article and wondering why the hell I just skimmed it so quickly before? Since that article came out I had moved my painting space to a dedicated area, my office, which is great, but the area is also far less lit. I lost all the natural lighting I was used to. I was finding that my lighting solutions just weren’t really working out and I tried a bunch, like using small lamps with CFL bulbs, daylight bulbs, and also LED bulbs. Nothing was really cutting it. So, after rediscovering Dave’s article I resolved myself to getting a better light to paint with. So, it was time to set out and do some research. I took to Twitter to chat with some fellow hobbyists. I got some great recommendations, but many were out of my price range. I’m sure they were worth it, but I didn’t have the money. Plus, I’ll admit, I can be a bit cheap.
. It was close to what he uses, so I checked it out.
. I probably spend more time reading the reviews on a product than I do researching the product itself. After a few days of consideration, I bought it off Amazon. First off, I don’t buy much online, which seems odd considering I’m online all day long as a programmer. I’ve only bought a few things off Amazon, so I was impressed when I picked free shipping on the 12th of January, with an arrival date of the 19th of January, and it showed up on the 14th, just two days later! Props to Amazon. As you can see below, the Normande Daylight has a magnifying glass built it. It’s a neat feature, but not why I picked it up; though I can see that being useful for some hobby projects, less so for painting. The big reason I got the hobby light was it has fluorescent 22W bulb, which is equivalent to a 150W incandescent bulb. The arm setup also gives it a 42″ reach and is fully adjustable. It tilts from the base, where it fits into the table clamp, midway up the arm and at the head, which also rotates as well as tilts. The huge range of motion is something my old setup seriously lacked. I had to lean forward all the time. With this, the lighting comes to me, so I can sit back comfortably and see what I’m working on. It’s also great for tilting to get good lighting if you like taking pictures of your models as you work on them. I do this quite a bit when I’m actively working on something and looking to share it on social media. Here’s two recent shots I took to share on Twitter. The construction is primarily metal. In fact, the only plastic on it is the adjustments knobs. That wasn’t something I was paying attention to when I bought it, but I’m glad that’s the case. I’ve bought quite a few tools over the years, and the ones that are 90% plastic don’t last very long at all. Anyway, with the all metal construction on the hobby light, it’s a pretty sturdy setup. I move it around a lot, and without thinking about it, and never once have I felt it was flimsy or anything. Every now and then I find that I have to tighten the adjustment knobs, but that’s typical for something that gets moved around a lot. That being said, it stays where I put it, which is perfect. So, I got the hobby light all setup, after rearranging my painting area a bit. The clamp on feature is great. However, you need a good 10″ of clearance behind it to allow for arm movement. I had my desk against the wall, so that wasn’t working very well. Then I tried putting it on the side. That worked, but it also limited some of the angles that I would need (hard to explain well). I decided to move the desk perpendicular to the wall and leave it on the back. Anyway, you can see how dim the room is and how well that Normande Daylight is illuminating my painting area. It’s amazing compared to what I was using before. My previous setup would only cover maybe half that area, and lacked the range of motion this has. The lighting on this is also brighter and cleaner, making it much easier to work by and the colors are crisper. It’s just a much setup to work with on all fronts. Here’s another shot showing how well it brightens the painting area. I took this one in 2018, after moving my desk back against the wall again, and clamping the light to the side. It just made more sense in terms of space. So, despite having a large range of motion, and the arm being rather long, it does work pretty well in a tight space. You can see that everything on my messy desk is well lit and that’s with the light about 3 feet above the table in its resting position. This is also the only light I use. I know some other painters will set up additional lights, to illuminate their models from different angles, but I haven’t had the need with this one. Plus, the fact it has a range of motion means I don’t need to cover extra areas; I just pull the light to me as I need it. In fact, my only complaint with this hobby light would be that the handle on the top likes to loosen up a bit after a lot of use. I move it during most of my painting sessions, and I do so using the handle on the top. Now, I haven’t had that handle come off on me, but it does get loose, so every few months I tighten up the nuts holding it on. It’s not a big deal or anything, but a more secured handle would have been ideal. However, if that’s my only complaint about this setup then I feel it’s doing pretty good. At this point, I’ve had this hobby light for years and it’s still an amazing setup. I’m able to see far more easily what I’m working on and colors are far more true. You don’t realize how poor your painting lighting setup is until you’ve upgraded. Trust me, spend a little money here and you won’t regret it. I’m a real stickler on where I spend my money and this was so worth it. Hell, I’d buy this as a gift for someone if they needed a good light. In the years since having this, I have only had to replace the bulb once. I don’t feel that’s too bad for how much use it has gotten. I couldn’t even begin to guess the hours of use this gets. So, it’s an affordable setup to maintain as well, which is pretty awesome. You used to be able to find this on Amazon but no longer. The only place I’ve still found this light available (maybe they’ve discontinued it? ), is at Frys.com.
. 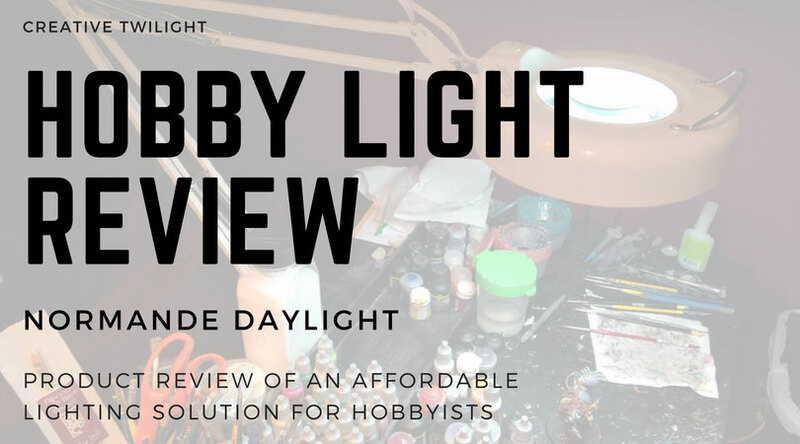 I know a lot of hobbyists swear by them, and they are priced more affordably. I haven’t used them for painting, but I have seen them and they look like they’d work well, and they are pretty cheap to buy. 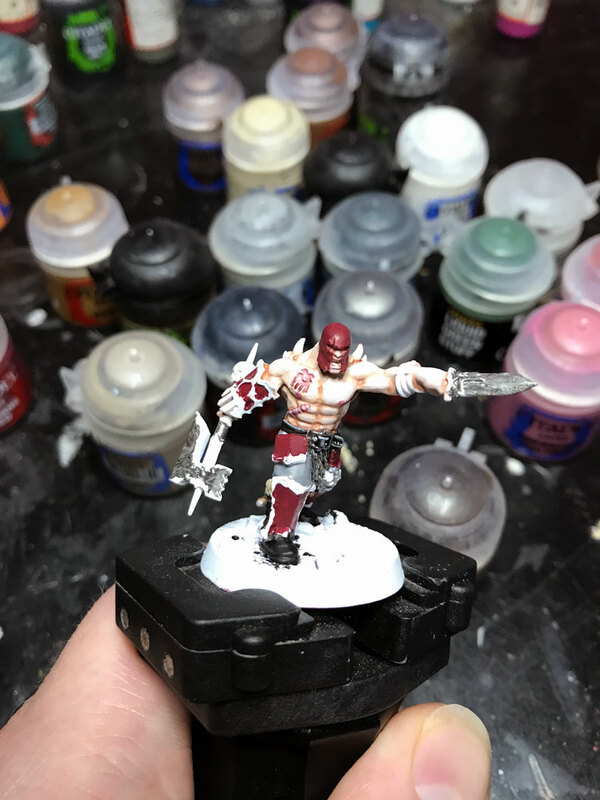 Speaking of hobby supplies, I’ve got an article covering my list of must-have supplies. That list covers stuff like this, but also the other stuff you’ll need for modeling, sculpting, etc. It’s a complete list with a lot of stuff, some you may not have even thought about. 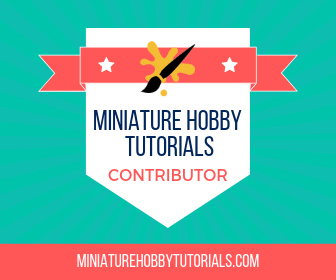 I also have a list of supplies that every miniature painter needs as well. This is the same sort of list mentioned above, but with everything you’ll need to paint miniatures. You’ll find must-have items, as well as some more expensive items that aren’t required but sure are nice to have. 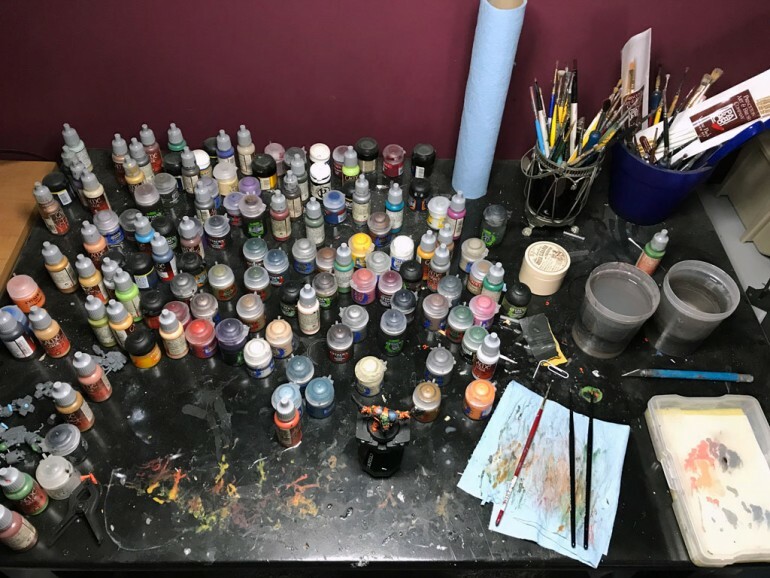 What are you using for a setup while you paint? Normande Daylight Clamp Lamp is priced very affordably for a hobby work light. 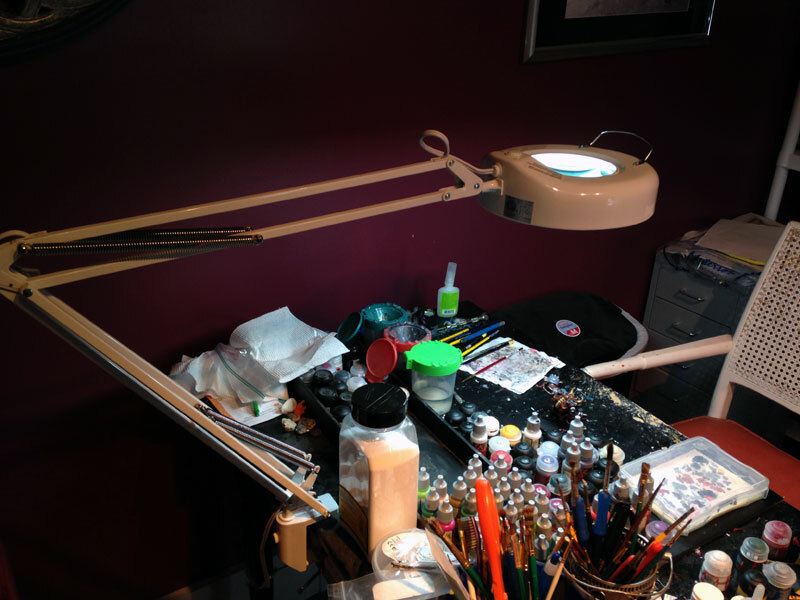 It’s easy to setup, and it will really improve your lighting setup for miniature painting. The clamping definitely makes it mobile and lets you stick it damn near anywhere. When it’s folded up, like in the box shot above, it’s pretty easy to store. The range is what makes it awesome. You can move that thing 42″. Glad you liked it and you won’t be disappointed in the light at all. Looks neat. My roll-top desk wouldn’t accommodate one, unfortunately. I’ll have to keep working under my OttLite. I’ve heard good things about OttLites. I was looking into various names and that one kept coming up when researching. Aww yeah! Time to add this to the FYN light review section! Nice review Thor! Super glad I got this light and for the money, it’s a steal. Hehe, I was setting it up. I need to make it, it’s own link though. I think I’ll make a new section “blogger recommendations” and setup tabs for things like paint booths, lights, tools. I’d say I’m doing it for everyone else, but really its a lazy way of me organizing :). 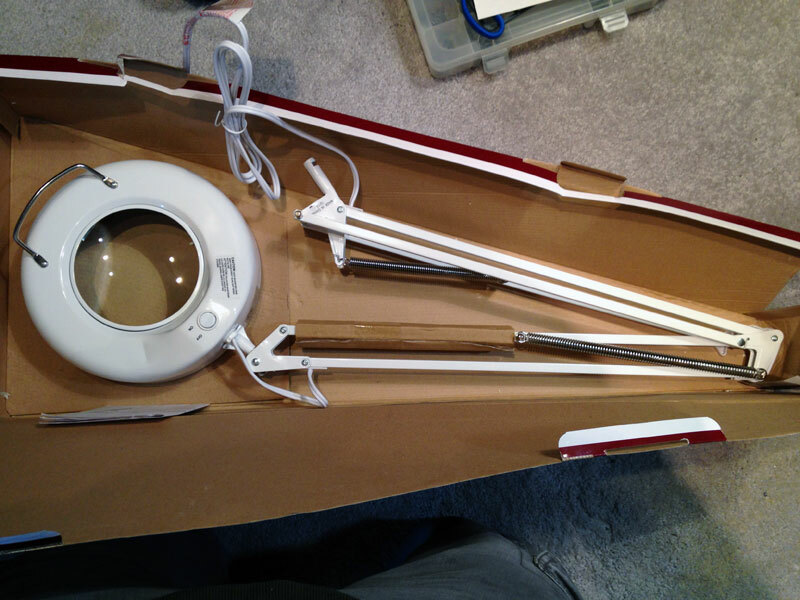 I use a daylight company triple bright lamp which is really awesome. I had one like yours but it broke and had some bday money spare so decided to upgrade. Agreed. You don’t know how bad it is until you see what it should look like. I’ve seen that triple one; it’s a damn nice lamp! Stumbled into one of these last summer. It was on clearance at an office supply store. Best hobby purchase of the last two years. 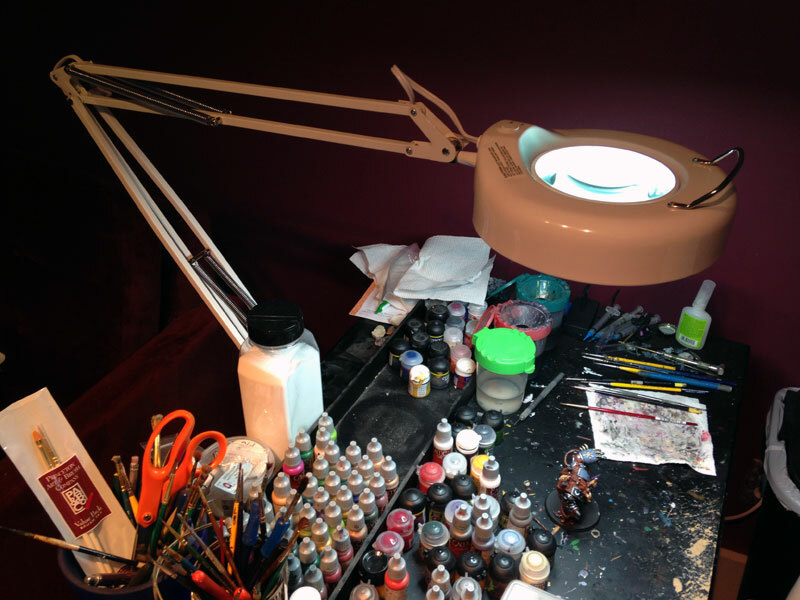 Hobby supplies, be it lighting or the tools we use in general, I find often goes neglected. It’s so worth investing into those supplies because it just makes what you enjoy doing easier and ultimately look better. This is a great find. I have been using daylight globes in an old desk lamp for a-a-a-ages and wouldn’t be without it. Huh. I guess I never replied. I mean, 3 years isn’t too late, right? Yeah, daylight bulbs are great for painting if you’re sticking with a more traditional light. I like how the LED bulbs work for that.